Located in Downtown Spokane, this hotel is within a 10-minute walk of Looff Carousel and Great Northern Railway Depot Clocktower. Riverfront Park is 0.6 mi (0.9 km) away. Spokane Intermodal Center is 7 minutes by foot. 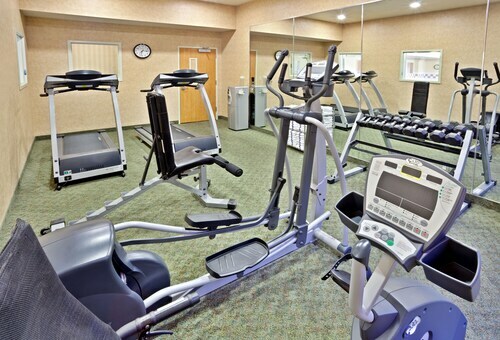 Located in Downtown Spokane, this hotel is steps from Bing Crosby Theater and Knitting Factory. First Interstate Center for the Arts and Spokane Convention Center are also within 15 minutes. Spokane Intermodal Center is 8 minutes by foot. 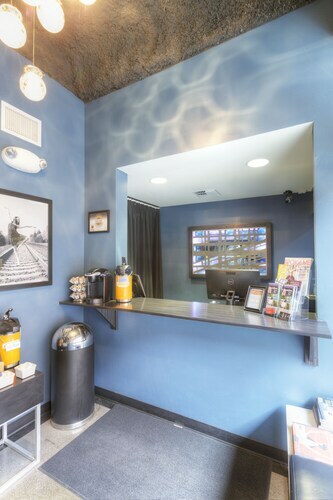 Located in Downtown Spokane, this hotel is within a 5-minute walk of Steam Plant Square and Knitting Factory. First Interstate Center for the Arts and Spokane Convention Center are also within 15 minutes. Spokane Intermodal Center is 9 minutes by foot. 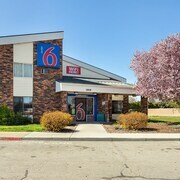 Situated in Spokane Valley, this motel is 1.5 mi (2.5 km) from Splash Down Waterpark and within 6 mi (10 km) of Spokane Valley Mall and Mirabeau Meadows Park. Riblet Mansion and Arbor Crest Winery and Arbor Crest Wine Cellars are also within 6 mi (10 km). 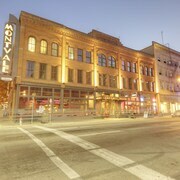 Located in Downtown Spokane, this hotel is steps from Bing Crosby Theater and Knitting Factory. Spokane Arena and First Interstate Center for the Arts are also within 1 mi (2 km). Spokane Intermodal Center is 10 minutes by foot. 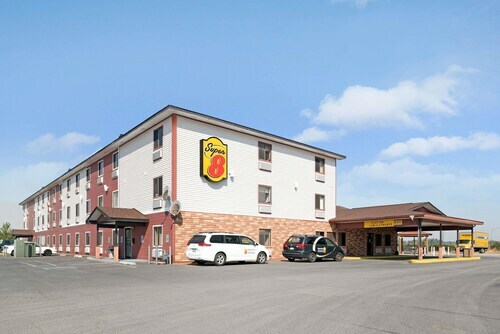 Situated near the airport, this motel is 1.5 mi (2.5 km) from Fairways Golf Course and within 9 mi (15 km) of Northern Quest Casino and Knitting Factory. Indian Canyon Golf Course and John A. Finch Arboretum are also within 9 mi (15 km). 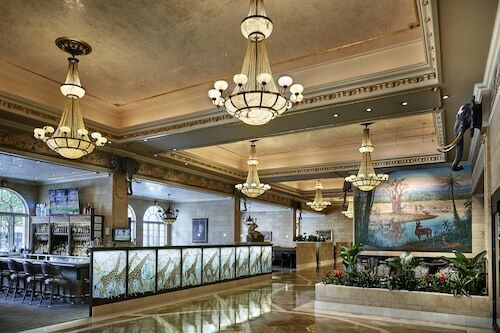 Rich with history dating back to 1914, this landmark Spokane resort is set in the center of downtown, surrounded by arts, business, and shopping districts; Spokane Convention Center is 8 blocks away. 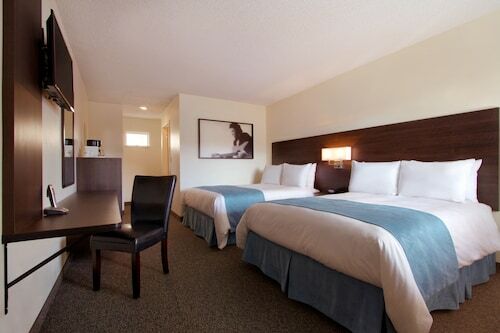 Located in the heart of Spokane, this hotel is within a 10-minute walk of Riverfront Park and Spokane Arena. First Interstate Center for the Arts and Spokane Convention Center are also within 15 minutes. Spokane Intermodal Center is 17 minutes by foot. How Much is a Hotel Room in Spokane? 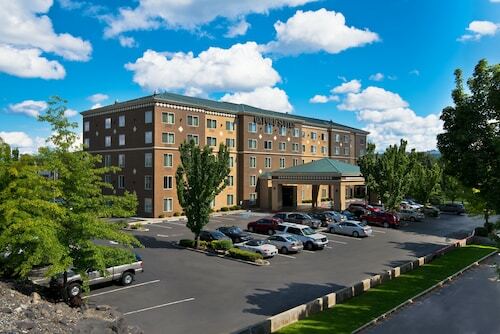 Hotels in Spokane start at $54 per night. Prices and availability subject to change. Additional terms may apply. 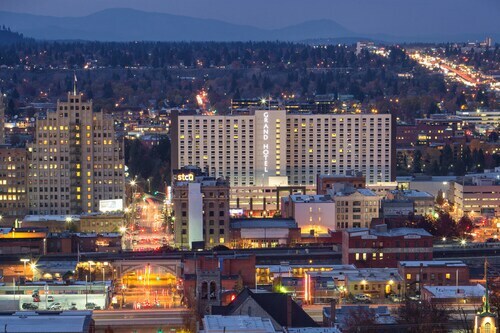 Spokane, Washington boasts a pleasant mix of outdoor and urban attractions. From picnicking at the Spokane Falls to attending a concert at the Bing Crosby Theater, this vibrant city pleases any sort of traveler. From start to finish, this city will amaze wherever you decide to go. There's something here for everyone, especially outdoor enthusiasts. Golfers will find their paradise at Hangman Valley Golf Course, Indian Canyon Golf Course, and other local venues. Cyclists, runners, and skaters should definitely take the gorgeous Centennial Trail. Skiers can't miss out on the slopes near Mount Spokane State Park, and many of the most scenic Spokane hotels are located nearby. Animal lovers are in luck, too. Look for hotels near Cat Tales Zoological Park, where you can get up close and personal with tigers and bears. Boating, hiking, camping, fishing, and wine-tasting tours are also widely available. Within the city proper, you can explore the gorgeous Manito Park, cross the historic Monroe Street Bridge, and check out the Campbell House, a Smithsonian affiliated historical site. When you need to refuel, some great dining establishments are always close at hand. A day of great dining could start with classic servings at a charming Spokane cafe for breakfast, then all-American fare for lunch at a downtown Spokane deli, then craft beer and pizza for dinner. A lively night out on the town in Spokane can be found in any one of the Irish pubs along the North Spokane Corridor or along Broadway Avenue. After spending a lively day outdoors, you'll be happy to refuel with a healthy dose of carbohydrates! With so much to do in Spokane, planning a trip takes time. 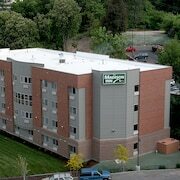 Start early by looking for cheap Spokane hotel deals on Travelocity. 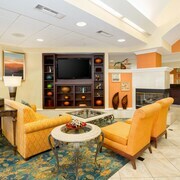 From five-star accommodations to pet-friendly hotels in Spokane, you'll find what you need on Travelocity. Wasnt much for tv programing and you could hear people outside the room pretty good. Great layout and dog friendly. Staff was fantastic! Quick check in. Comfortable bed, nice staff. Large parking lot. Room was initially very cold but heated fine. Otherwise excellent. The room had a smoke smell. And why did i get a hand decap room. The room was very close to the elevators..